WHAT IS THE SCIENCE OF GREEN EYES? CAN YOUR EYES CHANGE COLOR? DID GREEN EYES COME FROM ALIENS? Green eyes are beautiful to look at. They are also extremely unique and very rare! It has been estimated that only 2% of the world’s population have true green eyes. To give you an idea of just how special green eyes are, consider this factoid. Currently, it is estimated that around 7 billion people live on the planet. Going by the math, this means only 140 million people have some shade of green as an eye color. There are only a handful of celebrities who have green eyes and even a smaller number who are male. If you are one of these people – consider yourself lucky! FYI: green eyes can express in several shades, including hazel, emerald, jade and blue-green. In super rare cases, they can even appear amber. When you take into account the different variations of this color, including some people with hues of brown, the number of people who can be classified as having green eyes jumps from 2% to 8%. Guy Counseling recently asked nearly 90,000 website visitors which eye color they considered most attractive (as of 7/4/17). Here are the responses, broken down for each by percentages. Keep in mind that we are collecting new data from a poll appearing on the bottom of this page. You can still vote if you would like. This article will explore everything you ever wanted to know about green eyes. We will examine how you got your eye color, assess how eye color can be changed and identify a number of famous male celebrities with green eyes. We will also check out some green eyed myths! Other information about various shades of green eye color will be touched upon, including popular hues. Many people want to know where green eyes come from. Ultimately, eye color is a function of genetics and is determined by two factors: (1) the pigmentation of the iris and (2) the way light scatters around the iris itself. Let’s take a quick look at both. Pigmentation of a person’s iris can run the gamut from the darkest color, black to lightest, blue. Largely influencing pigmentation is something called melanin, a complex polymer made from the amino acid tyrosine. Most people mistakenly believe that colors like green and blue are in the iris – but they’re not. Your eye color is a function of how light diffuses across the melanin base, which again is genetically determined. Prior to 2008, scientists thought eye color was determined by one dominant gene. It was postulated that an eye color hierarchy existed with brown being at the top of the ladder and blue resting at the bottom. Under the old way of thinking, this meant if your dad had brown eyes and your mom had blue eyes, you would likely be born with brown colored eyes. A parental combination of two green eyes would translate into you having green eyes. Recessive genes were also thought to partially influence eye color. The video below offers an excellent scientific analysis of how people get different color eyes, including green, blue, brown, hazel and some rare variations. Interestingly enough, there are anthropological records of early humans with green eyes living around the mountain system in Eurasia between the Black Sea and the Caspian Sea. This area contained a natural land bridge between Europe and Asia. Knowns as the “Silk Route” or “Silk Roads”; this ancient passageway was used by early civilizations for the lucrative trade silk, sometimes between 120 BCE – 1450s CE (Yao, et all, 2000). We know from history that Silk Road played an important role in the creation of the civilizations of China, the Goguryeo kingdom in Korea, much of Japan, the Indian subcontinent, parts of Persia and the Horn of Africa and Arabia. Because it served as a significant trade route for many early traders, it is thought that mating between various groups may have been part of gene distribution. This may help to explain why green eyes can be found in various groups across Europe, Africa and Asia. Genetic anthropology is growing branch of science that examines DNA testing with concrete archaeological, historical and language-based evidence to uncover the history of ancient migration patterns in early human civilizations. Thanks to this emerging area of research, scientists are learning more and more about the etiology of eye color. This is why today, you can have your DNA tested to determine your genetic background. In turn, this may help to explain the genetic reasons for your ocular hue. Much of Europe, Asia and Africa and large swaths of the middle east have been native lands to people with green eyes for centuries. When studying the geologic time scale; a tool used to measure our planets history, it is thought that green eyes may have appeared in people of Iranian, Spanish, Brazilian and Pakistani decent sometime during the late part of the Cenozoic period. Specifically, this would be between the Pleistocene and Holocene epochs some 2 to 3 million years ago. 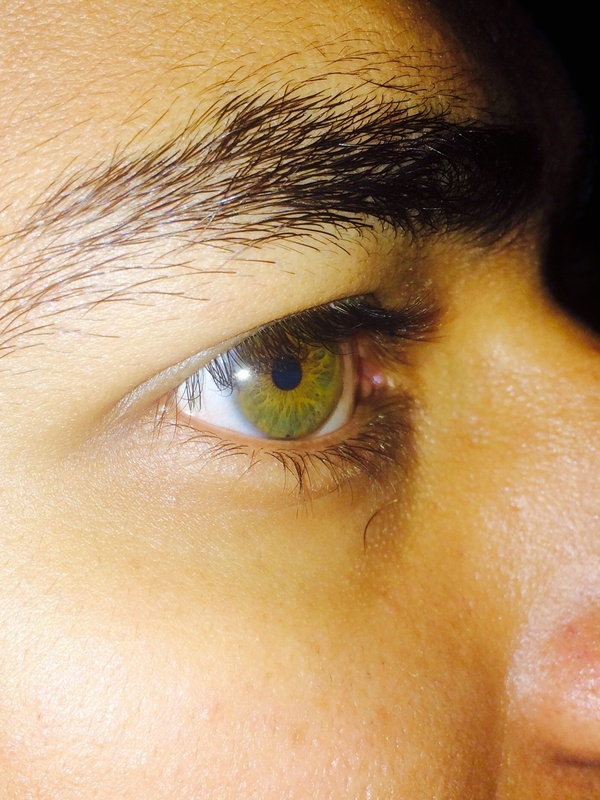 Any race, including people who are Caucasian, Asian, African, Native Indian, Pacific Islander, Hispanic and pre-Colombians (Indigenous Peoples of the Americas) can have green colored eyes. Anthropologists believe eye color, like hazel, blue, brown and green, are the direct result of migratory behaviors. Because of inter-mixing of groups, coupled with thousands of genetic mutations, we see various shades of green throughout modern man. The color of your iris can permanently change if you have glaucoma and take certain medications for treatment. If you have light colored eyes and want to keep them, you need to be extremely careful with the glaucoma medications you take. Make sure you consult with your eye doctor to discover all of the facts. As mentioned previously, green eyes, blue eyes and brown eyes do not actually have these colors deposited into the iris. In truth, your eye pigmentation has a little brown in them. Because of the phenomenon of Rayleigh scattering, your eyes will reflect back a certain colored hue. Makeup: Some people wear eye-makeup, like gold and purple eye-shadow, to accentuate the natural green of the iris. This can cause the desired effect of having chameleon eyes. Gorgeous makeup makes a line of eye shadow specifically designed for people with green eye color. Allergies: Some people with allergies have “scratchy eyes” which can cause the surrounding “whites” of the eyes to become red (aka: bloodshot eyes). This can have the effect of amplifying your eye color and creating baggy eyes.Most people do not desire this look. Josh Henderson has a green eye and blue eye because of heterochromia. Some people have a condition called heterochromia that causes one eye to be one color (like green) and the other eye to be a different color (like blue). While multiple causes have been suggested, the current scientific thinking suggests that a lack of genetic diversity is the main reason for heterochromia. It is thought that the condition is caused by a mutation of the genes determining melanin distribution, which often becomes changed due to chromosomal homogeneity. The photograph above of actor Josh Henderson is an example of someone with heterochromia. Notice one of his eyes are green. The other is blue. Very rare and unique. Channing Tatum has a unique pair of green eyes that are almost jade. There are many celebrities with green eyes – so many that it is not possible to list them all here. Bear in mind that different people have different hues of green. How they are expressed and perceived by others in large part depends on the factor previously mentioned. Listed below are a number of male celebrities with green eyes. Green eyes are indeed rare and therefore desired by many. Because of this, it makes sense that a number of myths exist about people with green eyes. What follows are a few of the “biggies”. Green, hazel and amber all in one! Keep in mind there are many more than the ones listed here! Green eyed people are more attractive. Green eyed people possess supernatural powers. Green eyed people have more intense relationships. Green eyed people are better in bed. This poll is designed to find out what you think about eye color. It is not scientific and therefore should be used for entertainment purposes only. Still, the results may give you a clue about what others think about eye color – including the color of your eyes! Your self-esteem should not be tied to your eye color – keep this in mind when you take the poll. Use this link to access the quick survey. Your response is completely confidential. The color of your eyes is unique. No two people have exactly the same eye color, unless they are identical twins. When we examine the origins of eye color, we can see their evolution changed over the course of time. It has been postulated that adaptations in eye color occurred as a result of a changing environment. Some people believe green eyes and blue eyes are the result of an alien species depositing their DNA into the human genome. But if you look at other species on our planet, you will see eye colors come in rainbow, including oranges, reds and yellows. Did these differing ocular colors come from aliens as well? And of course, you can always buy colored contacts to make your eyes blue green, hazel or brown! I hope you found this post helpful. If you happen to be lucky enough to be one of the few with green eyes, I’ve posted some information below from Amazon with some great choices for your eye color. Thanks for visiting Guy Counseling. Yao, Yong-Gang et al. “Gene Admixture In The Silk Road Region Of China: Evidence From Mtdna And Melanocortin 1 Receptor Polymorphism.”. Genes & Genetic Systems 75.4 (2000): 173-178. Web. Zimmerman, A. Cenozoic Era: Facts About Climate, Animals & Plants. Live Science (2016). Web. U are sick dear ☺☺ and i dont understand a thing u said…#rudenessiverloaded bt Idc!! Take Preservision, product name. And learn to type in english please. What is really amazing is the predominance of people with green or blue eyes and blonde or red hair in this one area of Iran..an even greater predominance of people with light features than in Scandinavia. Thats interesting because I have blond hair and green eyes being the only one in my family. I am a male and have retained these colours all my life. Would these same Iranians be from the area where the ancient civilisation of Media once stood? my eyes are green, yellow, brown and gray all in one, sometimes blue depending on what color I am wearing. 2 percent of 7 billion is 140 million. Funny I do have supernatural capabilities now you can all figure out if I am just joking but…..I’m not as a matter of fact its possible to affect anyone just using the mind or a method of interaction such as this site once mastered you can sit back from the comfort of your home and simply pull strings mentally you don’t have to try to affect anyone matter is their already doing it to themselfs for your entertainment depending on your beliefs for example you hate everyone no need to worry their mass murdering each other all over globe you conjured up the idea but someone somewhere actually does it fulfilling your original wishintent without you ever realizing it …anyways everyone happy trolling!!!!! I’m the only person in my entire family with green eyes so I always thought I was adopted. But I wasn’t. Really! Are you the only one with green eyes too? At least I can fall back on the fact that I’m 3/4 Irish! All the boys in my family have blue eyes, and all the girls have brown or hazel. I feel like an oddball! Are you the black sheep of the family? I am. I’m considered the “weird” one because I’m the smartest, most creative, adventurous, risk-taking and mystical one. I follow my own path no matter what anyone else says. And I have snakes! LOL And two rescue dogs. Bummer. So how is your behaviour different from the rest of your family’s? I have green eyes too and so does my sister. I guess it is because my dad has vary light blue eyes and my mom has semi dark brown eyes. I only know 3 people with green eyes. But i don’t think im very attractive. Im a male and i have girl like features. And i have long hair. Yeah, but how old are you? Most guys aren’t their handsomest until they’re 35-40 years old! yep that would be me too. But have no dogs, love snakes, never had them as pets though. EVERYONE has blue eyes! No other colors at all just Blue! Even Aunts an Cousins sea of blue eyes! Like I said to someone else, it must be a really recessive gene that decided to resurface, unless we are adopted, or our daddies aren’t really our daddies! OMG! I also am the only green eye person in my family. Both parents, and all siblings have blue eyes. Also, all blood relations on both sides have blue eyes. Not one brown eye, and I’m the one green eye. It’s always bothered me! Me, too! I’ve always wondered how many generations back in my family I would have to go, to find another green-eyed person. It’s got to come from the Irish side, or maybe there’s a little bit of gypsy on the Italian side! In any case, I’ll never know! LOL! I learned the same thing in Nursing School! That’s why I always thought I was adopted. But I wasn’t. I’ve got my birth certificate, and all my baby pictures are in the family albums! It must be a really recessive gene which has resurfaced! ???? Lucky for us! 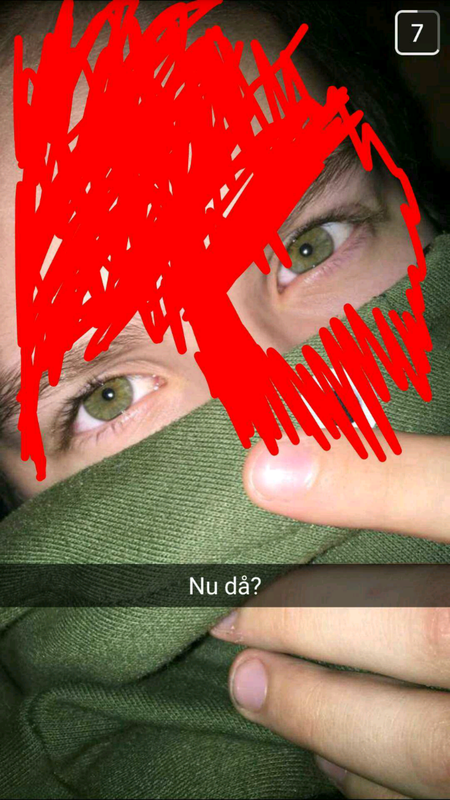 Myself and three cousins have green eyes. My mother has brown my father blue. Mine are constantly changing from blue green to emerald green to grey. No two days are the same and sometimes changing twice or three times a day. I have green eyes and have been told more than once that my eyes look good. I have green eyes. I can see through your soul. Jense Ackles I could stare into those green eyes all day they are so beautiful. Interesting article. I have green eyes. Actually one green, the other one is slightly brown. Not so noticeable fortunately ???? I’m 35 now and my eye’s are now a deep shade of green and have been since a young age, I am the youngest of 4 and the only other person in my immediate family with green eyes is my eldest brother. I wasn’t aware green eyes were considered rare. I had blue eyes as a young child but they turned to green before my teens. I am a male and have blond hair and 1 green lighter eye and 1 green darker eye. I wonder what the percentages for this is? I am also the only one in my family with it and I thought I was adopted. So I did check with the hospital and I’m legit. Lol. Use to feel a bit freakish because there a so few of us. Now I know I’m blessed! 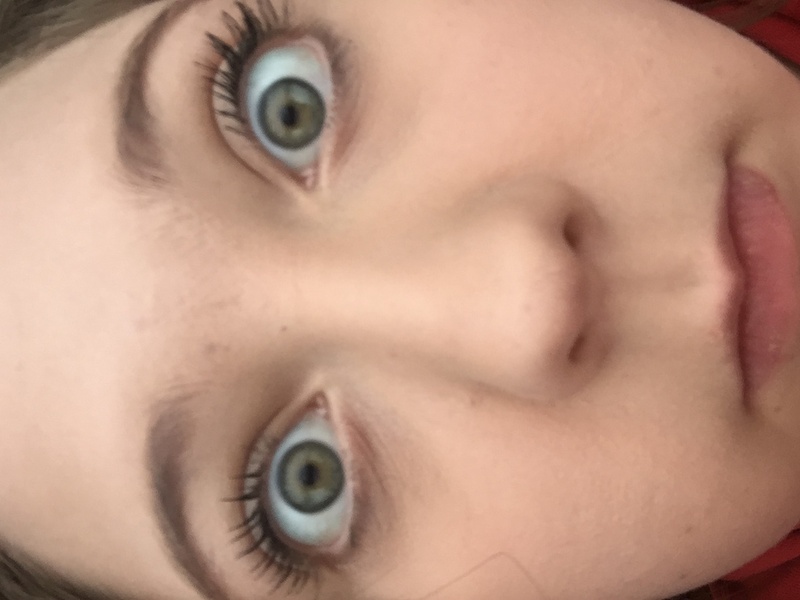 I have very light yellow green eyes with blue around the rim. How does that factor into the green eyed equation? I know that it does come from the Italian side og my family, with only one member of each genation having this particular eye coloe. Oh, and I not only have a very unusual eye color (only one in my family) but am lefy-handed as well (again the only one in my family). I probably would have been burned at the stake in Salem as a witch. Ha! i know the feeling with that one..mine are light to mid green and i have always squinted alot due to light. That’s not true, green is a beautiful color. Even if they weren’t rare, they would still be a popular eye color. This only means that you have some shade of hazel eyes. Half brown, half green, and sometimes some blue too! Same with me, except I don’t know about extended family. Would have like the article, but the mixed race bastards who have my eyes ruined it. Very rare eye color always new that, but was surprised how rare! Pretty sure in the case of eyes it only Parents not like Hair color or skin! Not sure why! I’m the middle child of 5 children both father and mother have brown eyes older brother blue eyes older sister younger sister and younger brother all have brown eyes. As far back as I can trace in family history mostly blue eyes and brown eyes going back to my great grandparents none with green eyes can be found. I do have one daughter with green eyes the other with blue, their dad has blue eyes. This article I read has a lot of information that is true for me and the trait of having green eyes, however I do believe there is much more information missing due to my age and experience. My eyes turned from light blue to grassy/olive green in 8-9th grade, one of my eye corner has a little part of light blue, but hardly noticeable (unless you pay close attention) my hair from ginger turned to the darkest brown/black then it turned into almost dirty blonde color.. Eye color doesn’t run the “gambit,” people. It runs the “gamut.” A gamut is a scale; a gambit is a chess move, or other scheme. Congratz – you win an Internet prize! Awww, brown eyes are LOVELY! The hottest guy I ever met had this brown eyes that make me felt like a whole hidden universe was beneath them.. that he wouldn’t show. My husband has one blue and one green eye. I have pale grey blue eyes. My son has brilliant blue eyes with a dark ring around them and a few yellow specks. My daughter has soft green eyes with a dark ring and yellow specks. I love all their eye colors and just wish mine weren’t so wishy washy grey blue. grey-blue is a great eye colour! I like the fact that they are a rare trait. Well I do have very different green eye color most people they don’t believe it is my regular color???? I am Turkish and no one in my family have my eye color! When I cry it turns to bright green when I go out sunny day turns to yellow when I am angry dark green???? Well thank you dr John Moore for great article! yup people notice my eyes and start to tell me how beautiful they are, sometimes it’s just weird. I have very green eyes and very fair skin,when I was born and until about four my hair was white,then went to blond,then light brown. At the ripe age of 35 my hair went from light brown right back to white/silver. My eye color however remained green. My parents and 4siblings do not have green eyes, only me. Until recently I never gave my eye color much thought but now I think I’m just a little unique. I have green eyes and thought it was a common color, maybe not. Looks kind of like a mixture of mostly grey with some green. I have green eyes and always wanted dark brown!! My eyes are also green. My mother said that when I was born they were so blue that they looked purple and my hair was jet black. I am of Lebanese and Hispanic descent. I am the only one in the family including my fathers side and my mothers side. None of my cousins on either side. I do get many compliments and sometimes I get very embarrassed. I am proud to know that green eyes are rare. Dr. John Moore, Fun article but I’ve got to let you know for some reason hue was spelled incorrectly as hew. Thanks, Truly, green eyes. I do not believe green eyes are rare. I know many many people with green eyes. 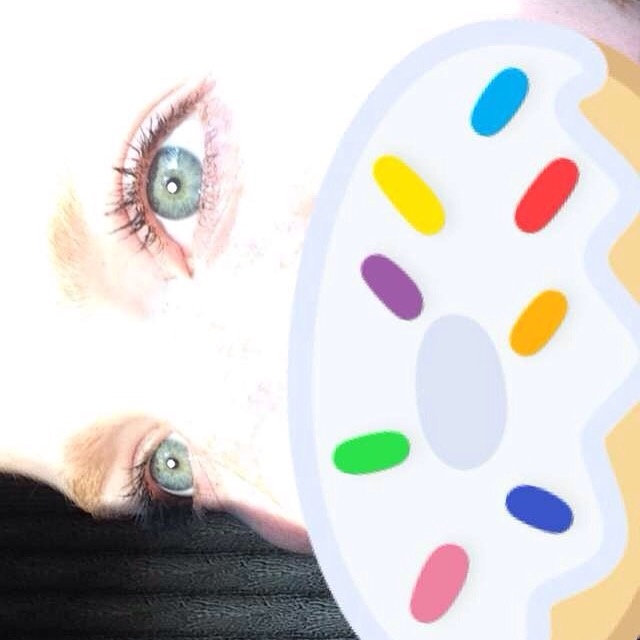 https://uploads.disquscdn.com/images/dafa53f6632c4390ea28bac1b0f5ca5c59b9749709330eb1dbfa0e1360d9ed99.jpg i think green eyes are very beautiful. I have them and people often say thet i have a sparkel in my eye like there is a little diamond in my eyes. I’m the only one in my whole family that has green eyes, as far as i know. It’s pretty funny actually, I’m completely the odd one out as the only green eyed person amongst all brown eyes. 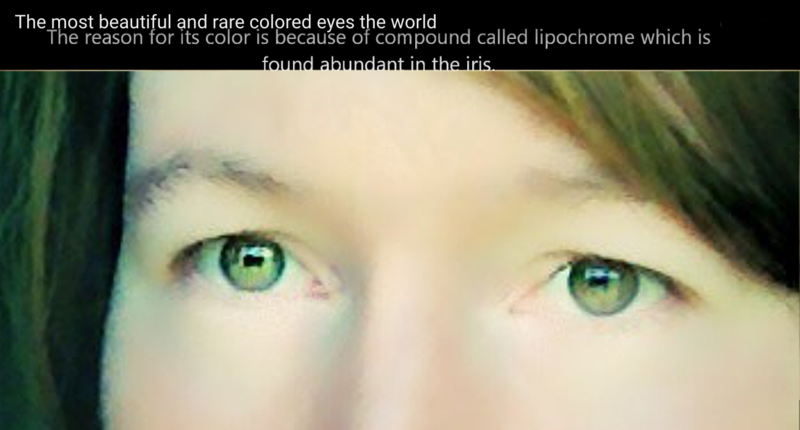 I have light greenish yellow eyes, chartreuse colored. I have night blindness to some degree and my eyes are slightly light sensitive My hair is blondish red naturally. When i get mad some people have told me that my eyes flash, which i have never seen but i have been told this by numerous people. Some people don’t like me to stare at them because they say it’s spooky. Lol ! . 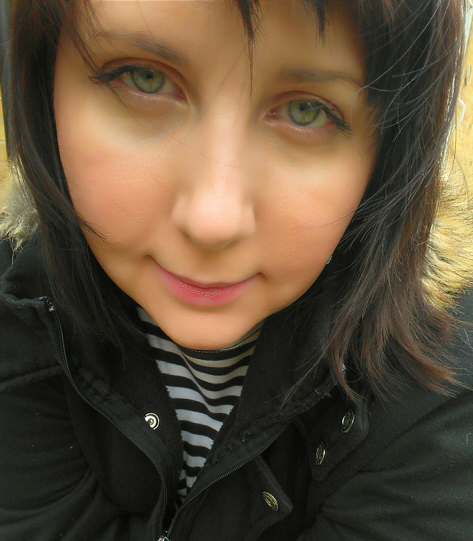 I inherited my green eyes from my Romanian father. Always get compliments. 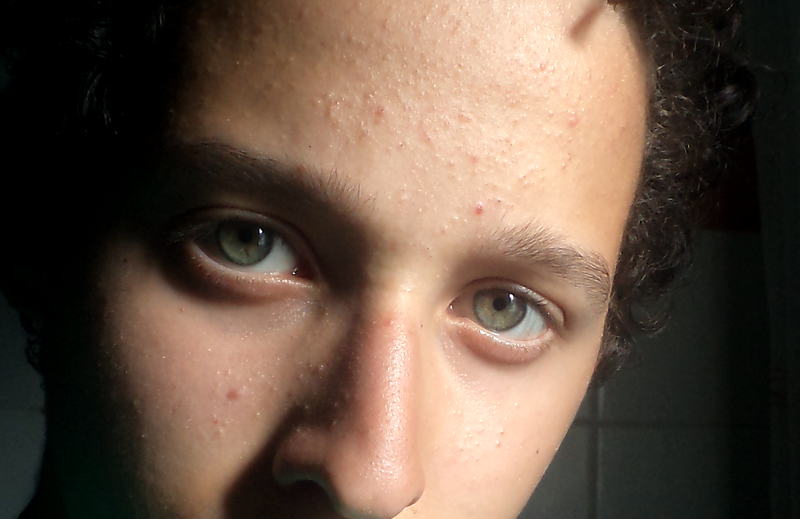 Didn’t know it was this rare to have green eyes. I have emerald green eyes, almost a dark grass green. My optician said that they are more sensitive to light. I have to were sunglasses or I get bad headaches in bright sunshine. I seem to be able to see in the dark better than anyone I know. I have red hair too. I am the only one in my whole family with green eyes. The others are blue or brown. I have green eyes ,too! Born with deep blue eyes but they changed to green when I was around 8 years old. Well, now I know why people always freak out when they realize I have green: They think I possess powers, or was influenced by an alien. Seriously? Why don’t they just burn me at the stake? I have green eyes. I didn’t understand how special it was until I read this article. Now I feel like the chosen one. Maybe I belong on another planet ? Mine were deep blue as a young child, going turquoise, then changing from blue to green based on my strong emotions as a young adult. Now they are nearly always green, with some blue tint that gets more or less each day. Hair is light amber brown. I am hispanic, my great grandparents were basque people of spain. I am only one in my family with green eyes, everyone else is dark brown eyes. I have green eyes the only one in my family some how I’ve always been or felt different. It’s very common for Italian people to have green or hazel eyes. Italy is heavily influenced by the entire Mediterranean with many people who have lighter color eyes. I am the only one with green eyes in my family but my grandpa on my moms side has like blue and green eyes. But my two brothers have hazels eyes that sometimes turn like dark blue with brown around the blue. I have green eyes. A Greek lady told me that green eyes are considered unlucky or even evil on the island of crete. She said people have charm bracelets to keep away people with green eyes. Probably some bad history at some point between cultures!!! I think the lady who told you that has her information wrong. If anything, many cultures think green eyes are good luck!